Placed in a favored Friendswood neighborhood with curving, tree-lined streets, this wonderful Colonial-style home has been re-designed for today's lifestyle. Rooms have been re-purposed for easy living and fabulous entertaining. Beautiful hardwood flooring with intricate design, tall ceilings and extensive millwork are seen at both levels. The downstairs includes open spaces with two living areas and an enormous games room. The chef's kitchen has high-end equipment with names such as Wolf, Sub-Zero and Hoshizaki. Select granites and marble cover the countertops. Beautiful interior finishes are paired with extraordinary views of the home's grounds. 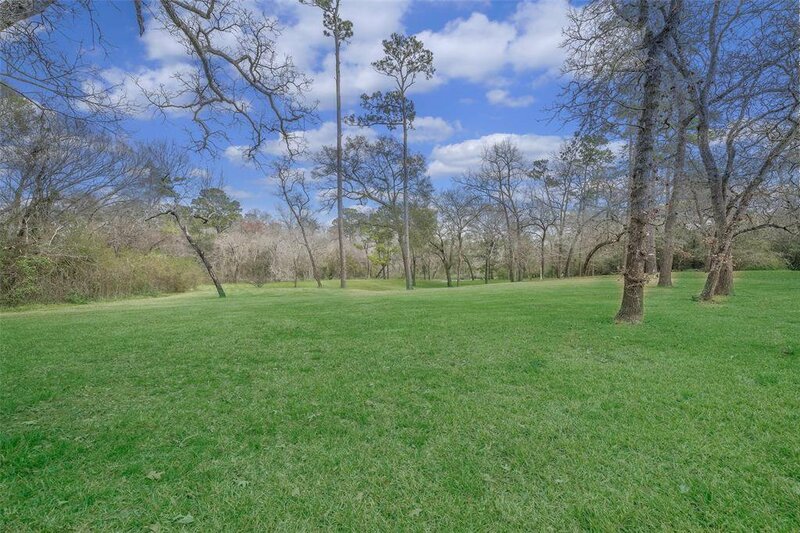 Tall trees and rolling terrain extend to the back yard boundary at navigable Clear Creek. Front and back terraces create wonderful spaces to enjoy the entire acreage. Come sit by the pool or take the boat down the creek to Clear Lake and Galveston Bay.